Spa facial treatments at Purely Skin are designed to give you the experience you are looking for whether you wish for facial rejuvenation, deep cleansing or simply relaxation. 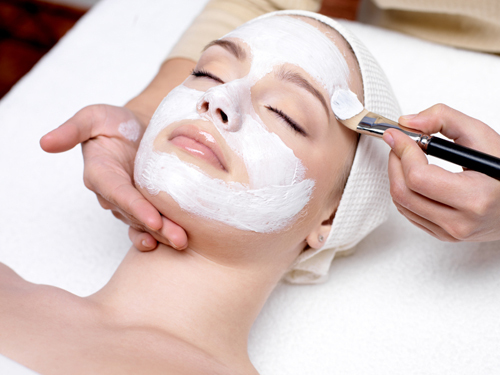 Each facial skin treatment is customized and unique. We have created a calm, comfortable and private setting for your relaxation and revitalization. Your skin will be treated according to your needs, leaving you with a refreshed complexion and healthy glow. Our goal is to create the healthiest skin, and we are proud to offer Éminence Organic Skincare from Hungary. This professional line of skincare not only nourishes your skin but also treats you to a variety of fresh scents from the plants and herbs used in its creation. Any facial you receive leads to facial rejuvenation. You may wonder why facials work? I have 13 years of experience in skincare and I choose only the best products and techniques for your skin. Proper cleansing and exfoliation open the skin to receive and utilize high quality serums and masks full of vitamins and antioxidants. Facial massage is a direct route to facial rejuvenation. The result of revitalized skin comes directly from the high quality touch during each facial skin treatment. Overactive skin may be calmed and soothed with manual lymphatic drainage and pressure points. Dull and devitalized skin receives the benefit of increased oxygenation, internal cleansing and nourishment. I use high-quality, professional skincare products during my spa facial treatments that target issues with your complexion and work to replenish and nourish your skin. I aim for balance and the healthiest skin possible. You will leave the spa putting your best face forward.